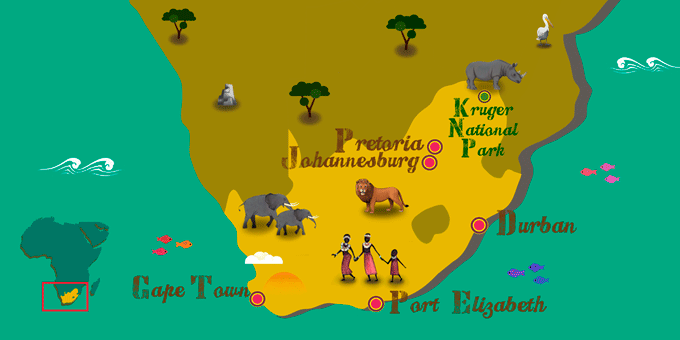 South Africa is a paradise for those looking to buy crafts. Many of its local markets have carved wooden figures, masks and different ceramic items made by locals and sold at a good price. It is also one of the best countries to buy jewelry, gold or diamonds since it has a large industry and in some locations such as Cape Town or Johannesburg, there are a large number of jewelers where you can buy stones either rough or finished. Although another of its most famous products are also skins, especially crocodile, snakes or ostrich, in recent years due to an increase responsible tourism, the sale of these items has declined. It is important to bear in mind that in order to get these items out of the country it is necessary to have the corresponding certification. It is recommended to avoid buying ivory. Generally, the prices of the stores or the shopping centers are fixed, although many of the markets of Cape Town like Church Street or Greenmarket Square lend themselves to haggling.